SALINA, KS (03/11/2015)(readMedia)– Bethany Manny of Hutchinson, KS was featured in the cast of the musical “Godspell,” based on the parables in The Gospel According to St. Matthew. Performances were presented on the stage in KWU’s Fitzpatrick Auditorium, Sams Hall of Fine Arts, Thursday-Sunday, March 5-9, 2015. “Godspell” was the first joint stage production for Kansas Wesleyan University and Salina Community Theatre (SCT). Directing the cast of nine KWU students and one community member in the Broadway Revival version of the musical was Michael Spicer, executive director of Salina Community Theatre. His wife, Victoria “Vickee” Spicer, served as choreographer for the show, and Ken Hakoda, chair of the KWU Department of Music, was the show’s music director. The cast consisted of Jaicee Wilson ’16 of Salina (as Jesus), Christian McQueen ’18 of Chino, CA (as John the Baptist/Judas), Caleb G. Rivera ’19 of Salina (as Nick), Eric Schwerdtfager ’15 of Salina (as Telly), actor Michael Parker (as George), Angel Reinert ’17 of Salina (as Anna Maria), Olivia Leif ’17 of Concordia, KS (as Lindsay), Casadie “Sadie” Smith ’17 of Salina (as Uzo), Bethany Manny ’16 of Hutchinson, KS (as Morgan), and Rachel Holzmeister ’15 of Gypsum, KS (as Celisse). Those who attended the packed house for these shows enjoyed a great experience and the energetic performances by this cast during the season of Lent, presenting a modern take on the teachings of Jesus. Kudos to these KWU students who made this revival of a classic 1970s musical really come alive. 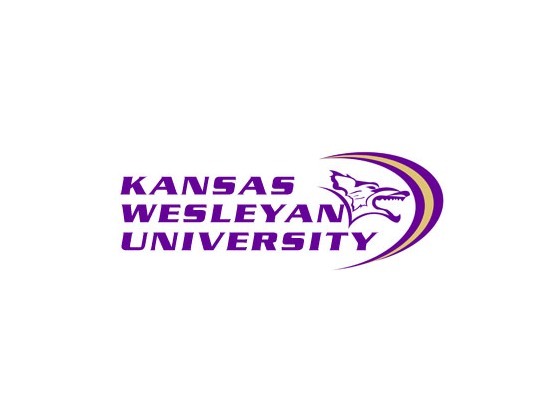 Kansas Wesleyan University – Founded in 1886. Kansas Wesleyan is affiliated with the United Methodist Church, and accepts students of all faiths. Enrollment is approximately 700 students drawn from across the nation. Students receive individualized attention and academic support with an average 13:1 student-to-faculty ratio in the classroom. KWU provides a rigorous academic liberal arts education in its undergraduate and pre-professional programs and its MBA degree. Signature programs among the 40-plus degree options are Emergency Management, Nursing, Ministry Studies, Teacher Education, and Environmental Studies and Community Resilience. Kansas Wesleyan is a trailblazer by being the first four-year institution in the country to combine all of its academic study-away courses with intentional service-learning experiences, in the U.S. and across the globe, through The Center for Global Service Learning at KWU. The institution guarantees students one such course, known as The Wesleyan Journey, at no additional cost. Check us out at www.kwu.edu.